The National Blood Service, Ghana (NBSG) has said it was unable to reach its 50 per cent target of Voluntary Unpaid Blood Donation across the country in 2017. 'We need only one per cent of the population of Ghana to voluntarily donate on regular basis and the NBSG would be able to collect sustainable blood stock in all the types to save lives,' he said. 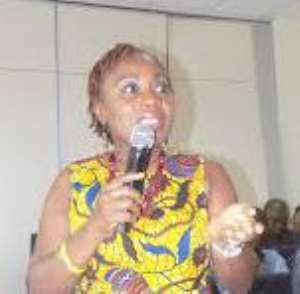 The annual performance review on the theme; 'Partnership for 100 per cent Voluntary Unpaid Blood Donation in Ghana,' was to among other objectives, galvanise stakeholder support in enhancing the stock of the commodity, to maintain a sustainable and safe blood supply service to meet the increasing needs of the country. According to her, 'not everybody could donate, for this reason the need to partner, as one of the strategies, and everybody playing their role in this regard to ensure the safe supply of blood and its related products. 'We need to make blood available in all the blood groups, so people must donate since blood donated has a shelf life of only 35 days and therefore the need to donate often'.